Now with added photos! 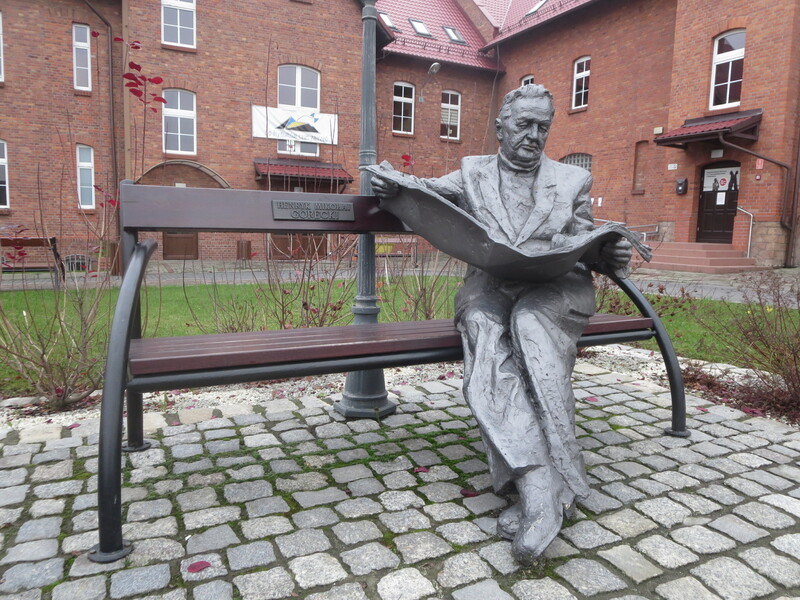 Two weeks ago, Anna Górecka and her husband took me to see the Górecki Bench outside his old primary school in Rydułtowy (now the Public Library). The bench invites one to sit, so I duly did. 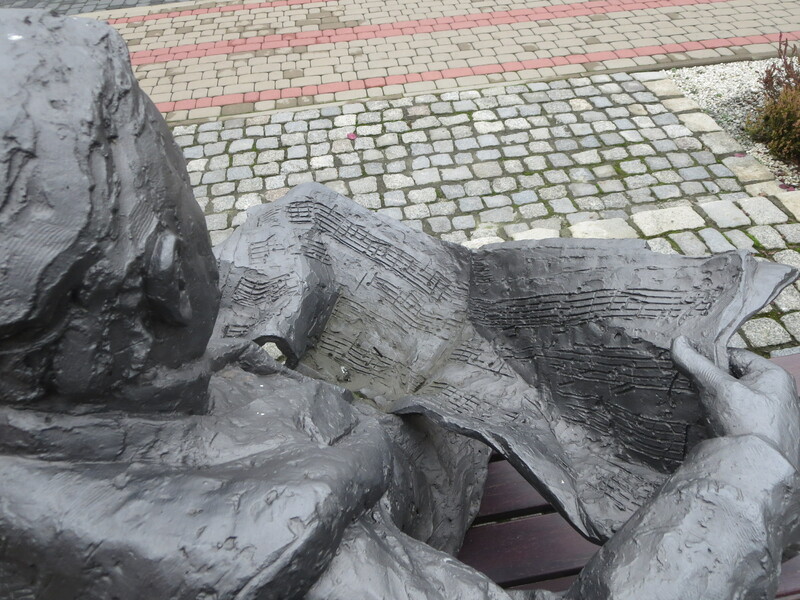 It was oddly touching, given that it is just a sculpture. But I’d much rather have been sitting next to the man himself. Happy 81st, Henryk! 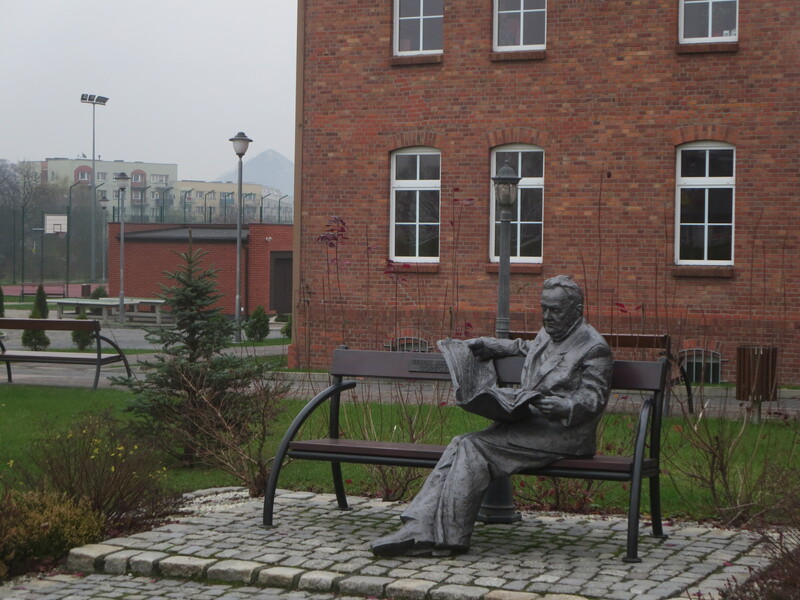 I wrote about Henryk’s bench when it was unveiled three years ago. Górecki’s figure is slightly less than life-size. The likeness is variable but, as Anna Górecka pointed out, it is best when viewed from his left side. It is a pity that the sculptor, like so many visual artists, thought that it would suffice just to throw a few random notes onto the pages of the score that Henryk is reading. What an opportunity missed. A few fragments of Elementi (1962) would have been just the thing. Still, the sculpture has become quite a draw and appreciated by the local community. When it was removed a year ago for retouching, the police were inundated with calls from the public saying that it had been stolen. Early in the day we had driven up and down a street named in Górecki’s honour. 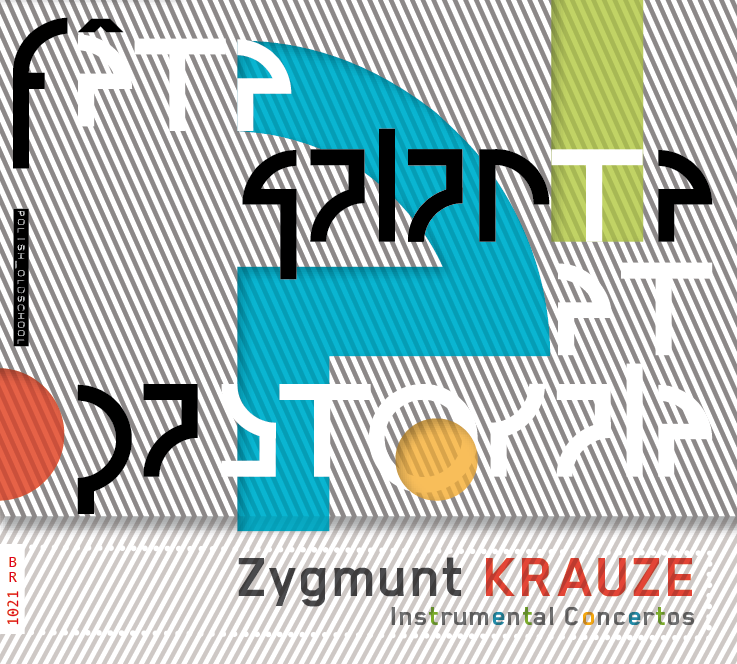 It is more like a boulevard and at two kilometres surely the longest thoroughfare named after a Polish composer. It is part of Rybnik’s ring road, completed in 2011, and runs south from Rondo Elektrowni to Rondo Solidarności. He’d have appreciated that.